At Breamore we provide a high-quality physical education curriculum that inspires all of our pupils to participate and succeed in all physical activity. We provide opportunities for our pupils to become physically literate and confident in a way which supports their health and fitness as they move towards making their own choices as young adults. We are determined to give our children the opportunity to experience and enjoy a wide range of sports through our curriculum, clubs and competitions. These opportunities build character and help to embed values such as teamwork, fairness and respect. All children participate in two hours of quality physical education each week. In these lessons they develop agility, balance and coordination, healthy competition and cooperative learning, alongside knowledge of playing different games. We belong to the Burgate and the New Forest Sports Partnerships, which enable us to regularly participate in competitions with other local and Hampshire schools in both team sports such as rugby, football, cricket and netball, and individual sports, such as tennis and cross-country. Year 6 Sports Ambassadors lead sports clubs for children across the school to enhance the provision of physical activity across the school. Before school many children enjoy our circuits club - a great way to start the day! The Government is providing funding to help provide quality primary PE and school sport. 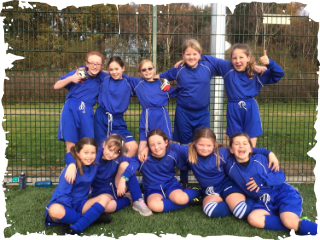 At Breamore we have given careful consideration to how this money should be spent to ensure we are improving the quality of the sport and PE that we are already offering to the children. We are convinced that investing this money in quality training for staff is essential as well as trying to widen participation and investing to improve our resources. Download our sports premium report below. This document outlines our spending for last year and its impact and our draft plans for 2018-19.